I am still wandering through Oz via my audiobook collection. I am on book six, THE EMERALD CITY OF OZ. Also, GOING BOVINE (my maloderous library book) has been released from its newspaper and baking soda deodorizing prison, and I am about half way done. I am loving this quirky and insightful book. Actually, quirky doesn't even begin to describe it. My next new read will be one of my eARCs, but I wanted to talk about one of my favorite series, that I want to get back to, because there is a movie coming out! These books span MG and YA because they are suggested for 10-15 year olds. This is my favorite character, Boggart. Well, in looking for this image I found out there are trading cards! Who knew? the TODHUNTER MOON series, so I am motivated to push through Queste and hope it, or the next book, picks back up. There is this wonderful Heap website I found, HERE. My TELL ME TUESDAY was all about FINALLY getting approved for my eARC of PERSUASION on Edelweiss. You can read that, HERE. Again, I have no photos because the forward facing camera on the Kindle Fire is a pain, and I really need my son to help me, plus it really needs bright sunlight to take non-blurry pictures. Needless to say, timing the availability of those two things together is nearly IMPOSSIBLE. 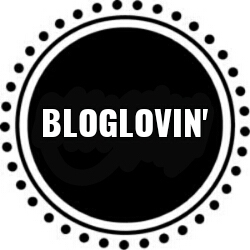 I have been asking different bloggers what they are using and any advice would be appreciated. I am on a single mom with a son in college budget, so I am not looking for anything extravagant. Anyway, I received my QUIRK BOOKS prize pack from THE BOOK NUT and was so happy with its contents I twirled! She had a stack of books and the package each of the two winners won was a mystery, except for the QB tote they came in. My favorite thing was the HOLLOW CITY oversized paperback because it matches my Mrs. Peregrine's perfectly! My BOOK OUTLET order arrived. I ordered on Mother's Day, so I received an extra 25% off. I ordered two paperback ORLEANS: one for a gift and one for a giveaway. I also bought a hardcover of RECKLESS, the first book in the author of the Inkheart trilogy's Mirror World series, and a funny picture book about bacteria and viruses for my son who is a Biochemistry major. I will post pictures next week, I PROMISE! Speaking of book mail, I posted my BOOKS FOR TRADE lists on GOODREADS. You can view my trade-fors and wishlist, HERE. My approval for PERSUASION finally came through on Edelweiss! There was some kind of glitch with approvals, and Martina Boone's new publicist sorted it out. I am already 33% done, and sad because I don't want to be finished and impatiently waiting for the next Watson Heirs book. I love these YA Paranormal books. There is still a BIG GIVEAWAY going on. As usual I posted a TELL ME TUESDAY and you can view it, HERE. I started reading a book that I bought on special that has been hanging out on my Kindle forever and a day, and was pleasantly surprised that it was a retelling of The Goose Girl fairytale and I can use it for my Fairytale Challenge. I had heard of The Goose Girl fairytale, but only recently, so I have never read the original. Therefore, I have no basis for comparison, but as its own story this novel is wonderful. There is a free ebook short story by this author. 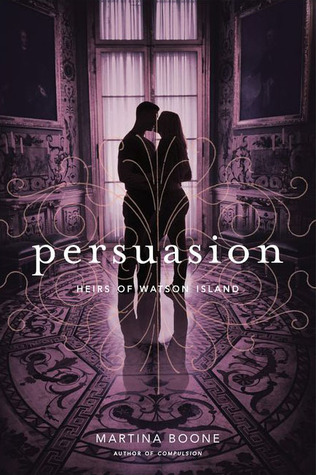 Two more weeks left in the COMPULSION/PERSUASION GIVEAWAY! This was posted on Wednesday because of technical difficulties. This is only the second time in 42 posts, so I am not ashamed. Ha! and then I went to Edelweiss to see the status of my Persuasion, the sequel to Compulsion, request because everyone on our street team was being approved, and I had been DECLINED! 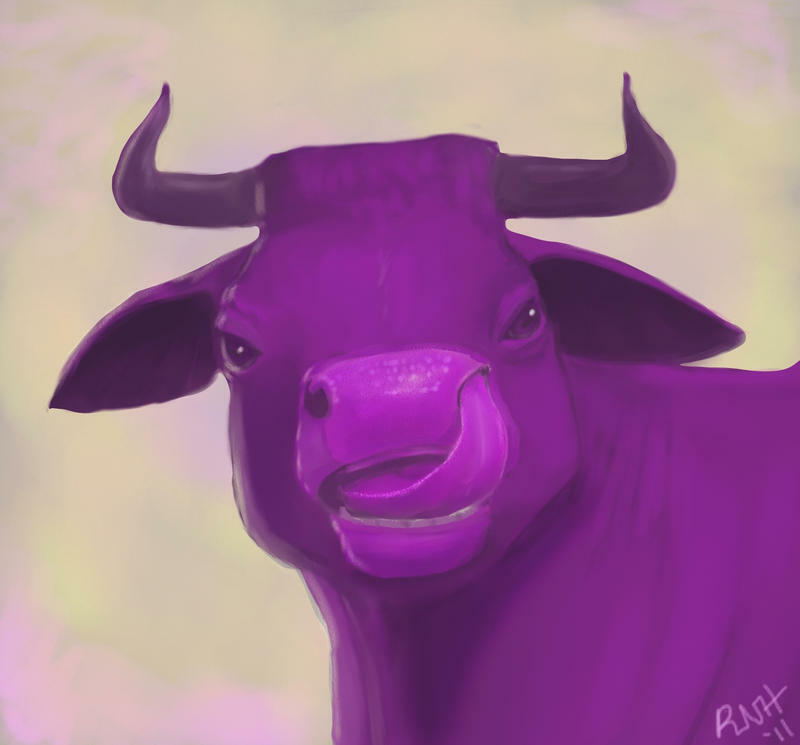 GOING BOVINE has been benched for a few days. I think the last person who borrowed it from the library lived with ten chain smokers, so it is in a bag with baking soda and crumpled up newspaper. 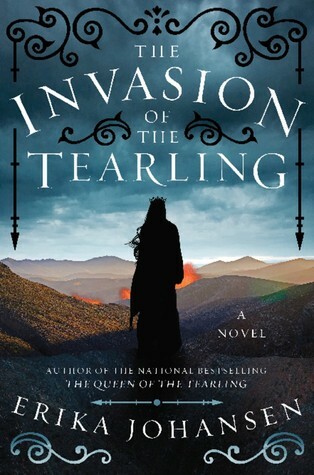 I am currently reading INVASION OF THE TEARLING, the sequel to Queen of the Tearling. 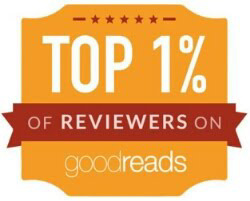 Queen of the Tearling was my top read of 2014. I would have given it six stars if I could. I was all excited for another marvelous Adult High Fantasy experience, but was handed half Fantasy, half Dystopian (a dystopian I don't much care for). I know the story needed some backstory, but not that much and certainly not in that way. 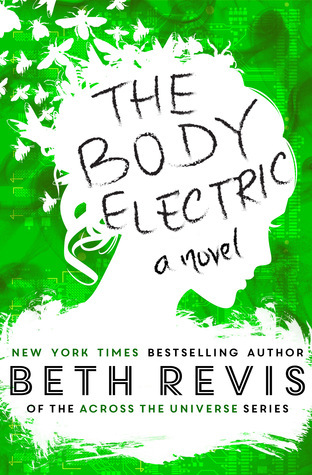 After I finish IotT I think I might finally read THE BODY ELECTRIC by Beth Revis. It has been sitting on my Kindle forever and I adored her Across the Universe trilogy. For all the moms, grammas, aunties, godmothers, and mother figures who dispense unconditional love. I have been getting a lot of reading done due to tablet and laptop problems, and have no current ARCs to read or review until next month! I have also made a big dent in my "oops" tbr of ARCs that sat on Edelweiss and Netgalley until after their pub dates. I have zero of these titles on EW, and I think only four on NetG left to read. My Netgalley percentage is 90% at this moment. Ha! I am not expecting that to last long. 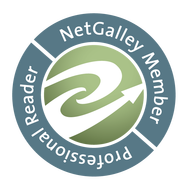 I also received a Top Reviewer badge from Netgalley because four of my feedback reviews were featured by the publishers. 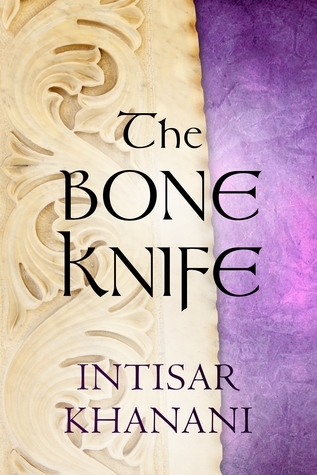 I am winding down to more of a normal reading schedule now, so I will be visting to comment on more blogs, and getting some long overdue book reviews posted here, too. You might also notice, if you haven't been here in a while, that I have joined the popular minimalist blog design fashion. 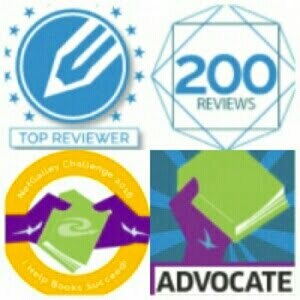 I have been posting my feature TELL ME TUESDAY every week, dispite being in my reading cocoon. You can find last week's post, HERE. I also wanted to give you the link to a blog post about the Baltimore riots from a fellow blogger, Elizabeth, who lives there. This girl has a brilliant and compassionate mind and I applaud her for it. You can read that blog post, HERE, at So Long... & Thanks For All The Fish. One of Cait from Paper Fury's posts went viral! You can read 10 Things You Should RegularlyTell Writers, HERE. And speaking of Paper Fury... 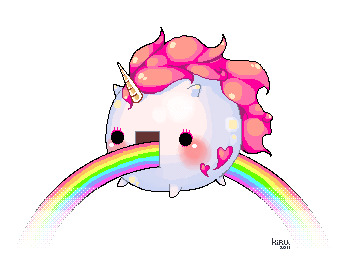 I found my Gif of the Week on Cait's post, Weekly Fury. I also participated in the COMPULSION Audiobook Release Blitz and Giveaway. The giveaway contest is stellar and is still going on for quite a while. 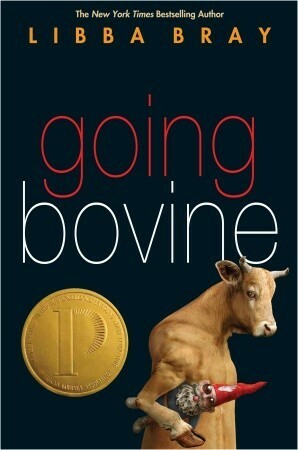 I am finally reading GOING BOVINE after seeing it umpteen times on just about every book list Elizabeth posts on her blog, So Long... & Thanks For All The Fish. It is strange and quirky... my favorite thing! I am also finally reading my Edelwiess (not an) eARC (anymore) copy of PEACEFUL NEIGHBOR: Discovering the Countercultural Mister Rogers. I met Fred Rogers once and, for me, it was like meeting the Pope. I am finally going to be reading a book that counts for my fairytale retelling challenge! EGG AND SPOON. Thanks for letting me know about this one, Cait (Paper Fury).